Ximena actively participates in industry initiatives such as the Social Performance Task Force, the Global Impact Investing Rating System and the Principles for Responsible Investment. She is a certified SA8000 auditor and trained in GRI and SROI (Global Reporting Initiative, and Social Return on Investment, respectively). 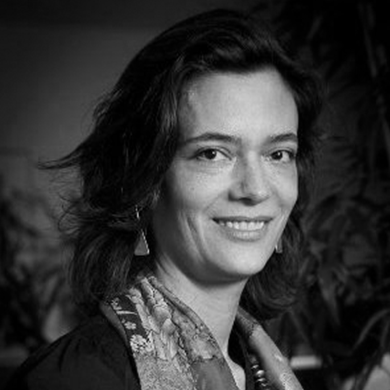 Prior to joining Bamboo Finance, she worked at the Global Fund to Fight Aids, Tuberculosis and Malaria designing public private partnerships to improve grant implementation and at a Swiss Foundation (CASIN) where she designed and managed executive education programs for social entrepreneurs and public and private sector emerging leaders. She holds an MBA from the University of Geneva, an MA in International Relations from the Graduate Institute of International and Development Studies (Geneva) and an MA in Economics from the Universidad de los Andes (Bogotá, Colombia). Ximena speaks Spanish, English, French, and German.